Alex Hynes has today been confirmed as the new Managing director of the ScotRail Alliance. Alex who has held the lead role within the Northern rail franchise since mid 2013 will join the ScotRail operator later this year. Northern, Britain's 2nd largest train operating company, was undergoing a £1bn investment programme to improve services and upgrade rolling stock. During this time Alex delivered the franchise’s best-ever customer satisfaction scores. This maybe what attracted both parties to each other, as the ScotRail Alliance is also undergoing a large scale investment and modernisation project. A programme which would benefit from Alex's previous experience whilst also providing enough of a challenge to meet personal ambitions. Alex Hynes, the current managing director of Arrival Rail North, is set to be appointed as managing director for ScotRail Alliance and will join the operator later this year. Hynes will be replacing Phil Verster, who last week announced he would be leaving ScotRail to become managing director of the new East West Rail project, the new fully privatised line between Oxford and Cambridge. 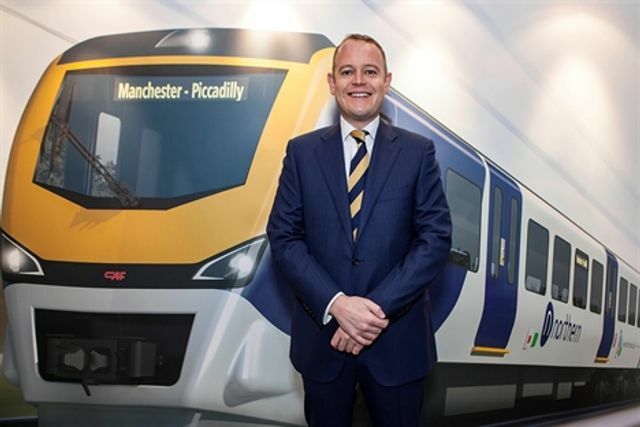 The appointment will have a knock-on effect on the UK rail network as Arriva Rail North, responsible for the Northern rail franchise, will now be looking for its own replacement MD. “I am delighted to have been appointed to lead the ScotRail Alliance, this cutting-edge arrangement, which brings together the management of ScotRail and Network Rail to deliver the very best for customers,” Hynes said.